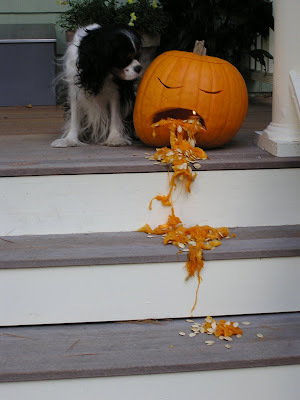 Happy Halloween from the Legal History Blog. Like Jerold Auerbach and perhaps others, I have long quoted an off-the-cuff remark of Judge Henry Jacob Friendly (1903-1986) at the 150th anniversary of the founding of the Harvard Law School, as a window into the calculations of soon-to-be graduates at the nation’s elite law schools in the 1920s. “Practically everyone thought there was only one career that was worth pursuing, namely private practice,” recalled Friendly, a member of the Class of 1927. Government work was for those who “didn’t have quite the grades to get the jobs they wanted in private firms, and thought they might do better later.” The well-informed among Friendly’s auditors would have assumed he spoke autobiographically. They would have known that he had been President of the Review, graduated with an astonishingly high grade point average, clerked for Justice Louis D. Brandeis, and had spent his career on Wall Street, first at Root, Clark, Buckner, Howland and Ballantine and then at Cleary, Friendly, Gottlieb & Steen, until his appointment to the Second Circuit in 1959. I still think Friendly’s remark captures the received wisdom among elite law graduates in the 1920s. The research of Auerbach and his coauthor Eugene Bardach, published in the American Journal of Legal History in 1973, leaves no room for doubt. What is possibly misleading about the remark is the implication that Friendly never seriously considered a career in government service. In fact he did. What you say about teaching makes me doubly glad that I’ve decided to get a touch of practice. I always had much the feeling that you seem to have now; namely, that if it weren’t for F.F. the Law School would be a pretty deadening place. What I wonder is whether it is wise to be so dependent on any single individual as I fear I’d become if I returned there. Sometimes I’ve thought seriously about the I.C.C. I’ve met one or two of the better examiners, and they seem to be highly competent men who have the joy of making important decisions. Of course, the pay is small, but if one gets fed up with it, a Railroad will generally pay more. However, I’m going to dutifully to Root, Clark, and a year from now I’ll be a wiser and, I hope, not a sadder man. After Friendly declined, the job went to another, quite different Frankfurter protégé, Thomas G. Corcoran. One wonders how the history of law and liberalism might have been different had Friendly, rather than Corcoran, been Felix Frankfurter’s man in Washington at the dawn of the New Deal. Update: The two letters by Friendly I've quoted are in box 5 of the Landis Papers at the Library of Congress. From 1894 to 1949 Chinese reformers, radicals, political theorists and party leaders [including Liang Qichao, left] pushed for the creation of a constitutional order in China. To that end, they borrowed (and often modified) constitutional principles, doctrines, and even history from other countries, using those tools first to craft different models of constitutions and then to persuade others to support their goals. The result was a complex, and international, exchange, one that involved the development of ideas and the deployment of social movements. My current research explores that history with the intent of tracing out the intellectual and social exchanges that occurred while the Chinese around the world debated their constitutional order. As I unpack China's rich constitutional history, I hope to add to our general understanding of how constitutional movements arise and function. This paper is an initial sketch of the project and my methodology. Constitutional Solipsism is the fourth in a series of articles on aspects of the private judging practices which have come to characterize the U.S. state and federal courts since the late 1950s. The first, Inequitable Injunctions: The Scandal of Private Judging in the U.S. Courts, 56 STAN. L. REV. 1435 (2004) gave a critical historical account of the development of the “practices of private judging” in U.S. Courts. Take a Letter, Your Honor: Outing the Judicial Epistemology of Hart v. Massanari, 62 WASH. & LEE L. REV. 1553 (2005), analyzed the development of a distinctive U.S. theory of precedent. Sorcerers, Not Apprentices: How Judicial Clerks and Staff Attorneys Impoverish U.S. Law, 39 ARIZ. ST. L.J. 1 (2007), documented the de facto delegation of the majority of Article III judicial power to inadequately supervised non-judicial actors, and the origins of nonprecedential status rules in the federal bench’s mistrust of the accuracy of the judging done in its name. delegation of Article III power to inadequately supervised adjuncts, and the abbreviated adjudicatory processes that arguably deny plenary appeals to the majority of federal appellants, substituting an unsafe certiorari process for appeals as of right. Relying principally on a critical reading of the leading inherent Article III power cases and authority on the powers “essential to the administration of justice,” and the constitutional logic of bodies of doctrine including fundamental interests and non-delegation doctrine, as well as on the limits on the circuits’ formal rulemaking power, Constitutional Solipsism concludes that the rules and the practices that underpin them are profoundly unconstitutional, because ultra vires Article III power. It goes on to argue both that the constitutional solipsism that characterizes the courts’ inherent power jurisprudence and their judging practices calls for a thick constitutionalist doctrine of judicial duty, and not just of power; and that the most recent developments in “post-9/11 constitutional” jurisprudence suggest the ripeness of such a doctrine. The United States Studies Program of the Woodrow Wilson International Center for Scholars announces a discussion of The Straight State: Sexuality and Citizenship in Twentieth-Century America, with the author, Margot Canaday, Department of History, Princeton University. Thomas Sugrue, Department of History, University of Pennsylvania, and Siobhan Somersville, Department of English, University of Illinois at Urbana-Champaign, will comment. The federal government has not always targeted homosexual identity explicitly. Yet, as Margot Canaday shows in this pathbreaking book, throughout the twentieth century, the government used its laws and regulations to identify and extend control over gay men and lesbians in three policy domains: immigration, the military, and welfare. Join us for an enlightening discussion of how the U.S. built "a straight state." The discussion will take place on Thursday, November 5, from 3-5 p.m., in the Moynihan Board Room, 6th floor, Woodrow Wilson Center, 1300 Pennsylvania Avenue N.W., Washington, DC. A reception will follow. This is a free public event, but attendees are requested to contact usstudies@wilsoncenter.org. A review of the book in The Nation, previously noted on LHB, is here. This paper investigates the corporate law background of the Necessary and Proper Clause. It turns out that corporate charters of the colonial and early federal period bristled with similar clauses, often attached to grants of rulemaking power. Analysis of these corporate charters suggests that the Necessary and Proper Clause does not create independent lawmaking competence; does not confer general legislative power; does not grant Congress unilateral discretion to determine the scope of its authority; requires that there be a reasonably close connection between constitutionally recognized ends and the legislative means chosen to accomplish those ends; and requires that federal law may not, without adequate justification, discriminate against or otherwise disproportionately affect the interests of particular citizens vis-à-vis others. I'm a big fan of the Historical Society of the District of Columbia Circuit and a former interviewer in its excellent oral history program. It has just published the first issue of an on-line newsletter, available here. The forum “Truth and Reconciliation in History” deals with a global experience that both calls history into question and calls upon the participation of historians. Especially since the creation of the Truth and Reconciliation Commission in South Africa in 1995, after the ending of apartheid, several nations and groups have attempted to confront and possibly come to terms with their fractious and traumatic pasts. This forum offers three examples of how historians have played a role in these attempts. Elazar Barkan introduces the forum with his essay, “Historians and Historical Reconciliation,” in which he surveys the role historians have played “to promote reconciliation through collaborative work to produce a shared history.” The following three articles offer case studies of this process at work. The Polish-Jewish experience during World War II is examined by David Engel, in “On Reconciling the Histories of Two Chosen Peoples.” In “Truth in Telling: Reconciling Realities in the Genocide of the Ottoman Armenians,” Ronald Grigor Suny delves into initiatives by Turkish, Armenian and other scholars to reach some common understanding of the ethnic conflicts in the early part of the 20th century. And Charles Ingrao’s “Confronting Yugoslav Controversies: The Scholars Initiative” gives an account of the ongoing efforts of a whole range of scholars, both from the Balkans and outside that region, to fashion a single narrative of the crimes and misdeeds committed in the former Yugoslavia. The comment is by James Campbell whose essay, “Settling Accounts? An Americanist Perspective on Historical Reconciliation,” not only reflects on these three cases but also offers a commentary on the reconciliation process from the perspective of someone with experience in American attempts to deal with its own problematic past. As Barkan notes in his introductory essay, the participation of historians in these kinds of projects is one example of how scholarship, often assumed to be irrelevant to social problems, relegated to the ivory tower, can play a crucial role on the public stage. "This seminar will focus on the history of judicial review in the United States from the founding period to the present. The course will give particular attention to the U.S. Supreme Court and federal law, but will also take note of federal review of state statutes and judicial review by state courts. We will explore how courts have used and justified the power of judicial review over time, how the practice of judicial review has changed, and how "activist" courts have been. We will examine the growth in the significance of the power of judicial review over time and the supports for, and opposition to, judicial review in the political sphere. The seminar will make use of both primary and secondary readings." The instructor is Keith E. Whittington, the William Nelson Cromwell Professor of Politics at Princeton University. The seminar will meet Thursday evenings, 6:00-8:00 p.m., February 25, March 4, 11, 18, 25, and April, 1, 2010, at The George Washington University Law School, 2000 H Street NW, Washington, DC. It is designed for graduate students and junior faculty in history, political science, law, and related disciplines. All participants will be expected to complete the assigned readings and participate in seminar discussions. Although the Institute cannot offer academic credit directly for the seminar, students may be able to earn graduate credit through their home departments by completing an independent research project in conjunction with the seminar. Please consult with your advisor and/or director of graduate studies about these possibilities. Space is limited, so applicants should send a copy of their c.v. and a short statement on how this seminar will be useful to them in their research, teaching, or professional development. Materials will be accepted only by email at MMarcus@nyhistory.org until December 15, 2009. Successful applicants will be notified soon thereafter. For further information, please contact Maeva Marcus at (202) 994-6562 or e-mail icsgw@law.gwu.edu. There is no tuition or other charge for this seminar, though participants will be expected to acquire the assigned books on their own. Hoosier Suffragism for CLE Credit! The Indiana Supreme Court will hold a free CLE event, My Place is in the Voting Booth: Hoosier Suffragette Helen M. Gougar, on Tuesday, November 3, 2009 from 3:00 - 4:30 pm. The event is sponsored by the Indiana Supreme Court Legal History Lecture Series with support from the Indiana Commission for Continuing Legal Education. The lecture will highlight the work of Helen M. (Jackson) Gougar of Lafayette, Indiana. In 1897, Gougar became one of the first women to argue in front of the Indiana Supreme Court. The case, Gougar v. Timberlake, focused on the failure of the Tippecanoe County election board to allow Gougar to vote in an 1894 local election. In January 1895, Gougar was admitted to the bar in Tippecanoe County (the first woman to do so) and represented herself that same afternoon. According to the overwhelming majority view, promissory estoppel is not an appropriate ground for legally enforcing statements made during preliminary negotiations unless there is a “clear and unambiguous promise” on which the counterparty reasonably and foreseeably relies. Bill Whitford and Stewart Macaulay were among the first scholars to note the apparent absence of such a promise in the case of Hoffman v. Red Owl Stores. Several years ago, after studying the trial record, I concluded that the best explanation for the breakdown in negotiations was the fundamental misunderstanding between the parties as to the amount and nature of Hoffmann’s equity contribution to the franchise. After locating and interviewing Hoffmann, Whitford and Macaulay tell a different story. They view as insignificant the misunderstanding about the nature of Hoffmann’s equity contribution. Rather, they focus attention on additional statements urging Hoffmann to sell his bakery business and store. In these later statements, ignored by the Wisconsin Supreme Court, they find the “missing promise” that they challenged all of us to look for years ago. While I credit their account, I remain as unconvinced by their story as they are of mine. Thus, the important question is how scholars could draw such different inferences from the same basic facts. In this Essay, I speculate that the different stories are a product of our respective methodological commitments: their commitment to a law and society approach to legal issues and mine to law and economics modes of analysis. Those diverse approaches illustrate the tension between “context” and “theory” and the inherent paradox of legal analysis: without context no legal rule can be applied, but with nothing but context no legal rule can be found. For this reason, I conclude, it is important for legal academics of every stripe to appreciate the biases inherent in their methodology of choice and work to correct for them. The American Society for Legal History invites scholars in American, English, British, and Continental European legal history to apply to succeed Thomas A. Green and Daniel R. Ernst as co-editors of Studies in Legal History–the book series published by University of North Carolina Press for the Society. Tom and Dan are stepping down after many years of exceptional–and exceptionally successful–service on behalf of all of us in legal history. Indeed, their success has been such that the Society recognizes that three or four co-editors may be necessary to maintain the breadth of the series. The co-editorships offer no reward other than the opportunity to help shape the wide field of legal history through the books they bring to publication. Interested scholars are asked to contact the chair of the ASLH Publications Committee, Bruce H. Mann, at mann@law.harvard.edu for further information. I'll add that another satisfaction of the job, particularly for a law-school-based professor who doesn't supervise doctoral candidates, is the chance to help junior scholars envision their dissertations as books. The Coase Centennial, with Coase! 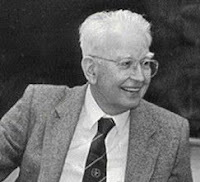 The University of Chicago Law School will host the conference Markets, Firms and Property Rights: A Celebration of the Research of Ronald H. Coase on December 4 and 5, 2009, at the Law School. The event is open to the public; to attend, contact Marjorie Holme at mholme@uchicago.edu. This event will bring together a group of scholars to honor the life and research of Ronald Coase. 2009 marks the 50th anniversary of the publication of Coase’s seminal paper on the Federal Communications Commission. 2010 marks the 50th anniversary of the publication of his paper on “The Problem of Social Cost,” and his 100th birthday. In 2008, Congress urged the National Archives to investigate ways to make the Founders Papers more readily available to historians, scholars, and the general public at no cost to researchers. As long-time funders of the print editions of the Founding Fathers documentary projects, the NHPRC worked with the editorial teams and supported a pilot demonstration project through Documents Compass, a nonprofit organization designed to assist in the digital production of historical documentary editions. "There is much to discover here," said Penelope Kaiserlian, director of the Press. "Take a look, for example, at Thomas Jefferson's letter to James Madison on August 30, 1823, when the elderly Jefferson contests the memory of 88-year-old John Adams regarding the creation of the Declaration of Independence. Historians will already know this letter, but now anyone can easily find this readable version." Critics have sometimes blamed the accreditation standards of the American Bar Association for driving up the cost of law school and making it more difficult for students of color to be admitted to those programs. But a report released on Monday by the Government Accountability Office says that most law schools surveyed instead blamed competition for better rankings and a more hands-on approach to educating students for the increased price of a law degree. In addition, the federal watchdog agency reported that, over all, minorities are making up a larger share of law-school enrollments than in the past, although the percentage of African-American students in those programs is shrinking. The GAO attributed that decrease to lower undergraduate grade-point averages and scores on law-school admissions tests. Update: Paul Caron has more on this. Since about 1960, I have spent a portion of every summer in the Grand Traverse Bay region of Northern Michigan. To the usual fare of beaches and cherry products was added five years ago an annual film festival, founded and still propelled quite vigorously along by the documentarian Michael Moore. “William Kunstler: Disturbing the Universe,” will not, I’m afraid, be my most memorable moment from this year’s festival. That honor will doubtless go to yesterday’s midnight screening of “Dead Snow.” (Official motto: “If You’re Going to See Only One Norwegian Nazi-Zombie Movie This Year, Why Not Make It ‘Dead Snow’?”) Still, the documentary of one of America’s most famous radical lawyers, directed by Sarah and Emily Kunstler, his two daughters from his second marriage, is well worth seeing during its theatrical release this fall or on PBS’s “POV” next year. For anyone like me, who has only seen iconic, shaggy haired images of the man, the home movies of a close-cropped Kunstler, clowning for the camera like any other suburban Dad, is worth the price of admission. I suspect even those who followed his career more closely would find revelations in the footage from inside Attica, the dramatically abrupt conclusion of one of his jury summations, or his dispassionate analysis of the ideological power of the word “legal,” from one of his public addresses. For all the film’s strengths, it left me with more questions than answers about Kunstler’s radicalization. After the showing, Emily Kunstler spoke of radicalization, with reference to two lesser figures in the film, a juror from Chicago Seven trial and a prison guard grievously wounded at Attica, as a discrete and almost inelastic event: the undeniable reality of an injustice suddenly confronts a person at rest, who then careens in a radical direction. 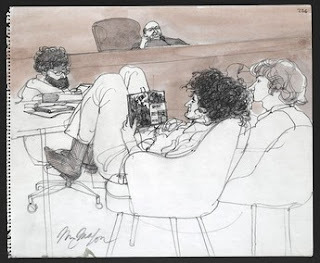 My recollection of the film–I attended without intent to blog and did not take notes–was that the film made much the same claim for Kunstler himself, with the moment of impact being the binding and gagging of Bobbie Seale in the Chicago Seven trial. I don’t doubt that Kunstler experienced it as a visceral revelation of the potential and the danger of treating the criminal justice system as political theatre and that his lawyering changed accordingly. But Kunstler himself elsewhere described his transformation “from a liberal into a radical” as a more extended process from the 1960s into the 1970s. What’s more, the film presents tantalizing suggestions that the young Kunstler had an emotional preexisting condition that would make radicalism, as practiced by the student left, irresistible. His love of poetry and a war story related in the film suggest a person who could not abide a prosaic life. The youth movement’s shattering of social conventions must have attracted him at least as much as the legal claims the activists generated. The Kunstler sisters do not hide this side of their father: to the contrary, they share with us their father’s awkward attempt to impress the woman who would become their mother by boasting of a quite unimpressive countercultural exploit. Admittedly, it’s difficult terrain for offspring to negotiate, but a fuller view of the emotional roots of Kunstler’s “greening” would help convey to a new generation why he was such a compelling--and disturbing--figure in American legal history. Prologue: Justice Holmes - Father of the Modern First Amendment is an essay by Ronald K. L. Collins, First Amendment Center. The prologue introduces 'The Fundamental Holmes: A Free Speech Chronicle & Reader' - Selections from the Opinions, Books, Articles, Speeches, Letters & Other Writings by & About Justice Oliver Wendell Holmes, Jr. (Cambridge University Press, 2010). Holmes’s footprint on the American law of free speech is gigantic. Like Atlas, he is a titan in that world. No one else quite casts a shadow so long. While James Madison is the grand pater of the historical First Amendment, its modern father figure is surely Justice Oliver Wendell Holmes, Jr. (1841-1935). His thought can be found in bold relief in many Supreme Court opinions on freedom of expression, in every contemporary history of the subject, in every casebook and textbook used in law schools and in colleges, and in every serious scholarly treatment of the matter. This is so because “Holmes laid the foundations . . . for the expansive modern view of free speech . . . .” Having done so, he then “left a profound imprint on the law of free speech." Without exaggeration, then, it would be impossible to have any serious discussion of modern free speech theory or law without some consideration of his views. But from what well does Holmes’s fame spring? Does it derive mainly from three opinions – Schenck v. United States, Abrams v. United States, and Gitlow v. New York – issued late in the long-life span of this great jurist and scholar? 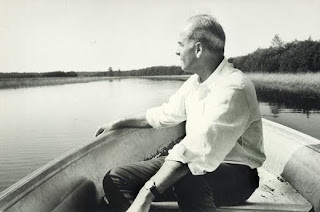 If so, did the ideas for those landmark opinions jet out of his psyche with a singular thrust of insight, or were there some seeds that had been stirring in the soil of his mind for years or even decades before? As with so many other great figures in law, the answer is a combination of both, and yet other things, too. The Kennedy Justice Department faced challenges with no modern precedent: the Southern defiance of the Supreme Court’s decision in Brown v. Board of Education, the rise of non-violent protests on a massive scale, and the Administration’s desire to break a racial caste system that it did not fully understand. Reconstruction provided a precedent for federal action, but the President was, to some extent, a captive of the myth that federal intervention had been a colossal failure, leading only to misrule and racial division. Much has been written about President Kennedy’s mixed record on civil rights - his philosophical commitment to equality, his ambiguous votes on civil rights bills as a Senator, his letter regarding Dr. Martin Luther King, Jr.’s prison term in Georgia, his decision not to make civil rights a priority at the beginning of his presidency, his appointment of racist federal judges in the South, his proposal of comprehensive civil rights legislation after two and a half years as President, and so on. In the 1960's and 1970's, several books and articles focused critically on the work of the Kennedy Department of Justice relating to civil rights. Photo: President John F. Kennedy and Attorney General Robert Kennedy. 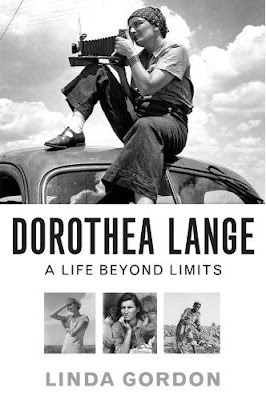 DOROTHEA LANGE: A Life Beyond Limits by Linda Gordon is reviewed in the New York Times. David Oshinsky finds it "an absorbing, exhaustively researched and highly political biography of a transformative figure in the rise of modern photojournalism." I he ard Gordon speak on this book as she was writing it, and have been waiting since then for a chance to read it. Highly recommended. Linda Gordon delivered a lecture on the book at U.C. Berkeley, posted here. Also reviewed in the New York Times is THE TYRANNY OF E-MAIL: The Four-Thousand-Year Journey to Your Inbox by John Freeman and THE FOURTH STAR: Four Generals and the Epic Struggle for the Future of the United States Army by David Cloud and Greg Jaffe. Moral Panics and the Copyright Wars by William Patry is taken up in the Los Angeles Times; The Big Burn: Teddy Roosevelt and the Fire That Saved America by Timothy Egan is reviewed in the Philadelphia Inquirer. Sherrilyn A. Ifill, Woman of Valor, Women's Review of Books, reviews Mia Bay, To Tell the Truth Freely: The Life of Ida B. Wells and Paula Giddings, Ida: A Sword Among Lions: Ida B. Wells and the Campaign against Lynching. Hat tip. An Empirical Look at the "Switch in Time"
Franklin Delano Roosevelt's court-packing plan of 1937 and the "switch in time that saved nine" animate central questions of law, politics, and history. Did Supreme Court Justice Roberts [pictured at left, from 1924] abruptly switch votes in 1937 to avert a showdown with Roosevelt? Scholars disagree vigorously about whether Roberts's transformation was gradual and anticipated or abrupt and unexpected. Using newly collected data of votes from 1931-1940 terms, we contribute to the historical understanding of this episode by providing the first quantitative evidence of Roberts's transformation. Applying modern measurement methods, we show that Roberts shifted sharply to the left in the 1936 term. The shift appears sudden and temporary. The duration of Roberts's shift, however, is in many ways irrelevant, as the long-term transformation of the Court is overwhelmingly attributable to Roosevelt's appointees. As a young aboriginal woman lay dying in the mud near a garbage dump, three white men who had abandoned her there were on their way to a party with her underpants waving from their car aerial like some sort of trophy. 'This Right is Not Allowed by Governments that are Afraid of the People': The Public Meaning of the Second Amendment When the Fourteenth Amendment was Ratified has just been posted by Clayton E. Cramer, an independent scholar, Nicholas James Johnson, Fordham University School of Law, and George A. Mocsary, a judicial law clerk. 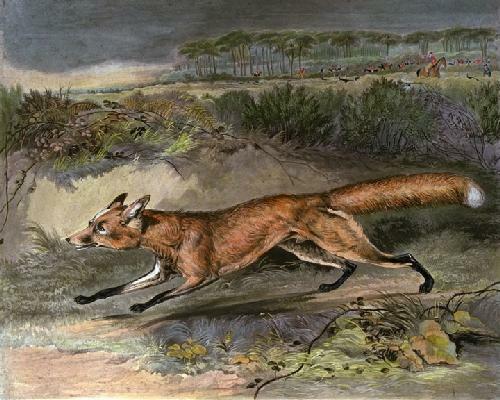 I'm posting this piece because it engages a variety of historical sources. The line between works of interest to legal historians and advocacy pieces is not always clear, but some readers are engaged in the "public meaning" turn of originalist scholarship, so I will occasionally post such pieces. What you will not see on this blog, however, are works that purport to engage in "original public meaning" analysis, but support their arguments only with a New York Times database search, or other limited engagement of sources. "Original public meaning" should be approached as a form of intellectual history, and practitioners of this form of scholarship should draw upon the conventions of the field of intellectual history. No intellectual historian would limit her/himself to one source. A reading of historical newspapers might inform an analysis of the history of the press. But for broader claims about what the "public" thought on a particular topic, deeper work is, of course, needed. If the Fourteenth Amendment is found to incorporate the Second Amendment against the states, what meaning of the Second Amendment does it include? This paper examines judicial and popular understandings of the Second Amendment in the period between ratification of the Bill of Rights and the Fourteenth Amendment. This summer I posted (starting here) an essay summarizing recent studies on the old chestnut of the first-year Property course, Pierson v. Post. The definitive version is now available on-line from the Green Bag, which is to say, here. Thanks to Ross Davies, Mary Dudziak, and Dan Hulsebosch. Rights, both individual and collective, have long been a theme in American society, often seen in conflict with state power. We welcome papers on assertions of rights by insurgent groups, resistance to rights claims, and governmental efforts to suppress or promote rights, in areas including but not limited to: civil liberties; disability rights; labor and economic rights; feminism and antiracism; immigration; environmental justice; access to healthcare; the prison industrial complex; sexual orientation; the stateless; and human rights. Our goal is to bring together a wide variety of people from a range of academic, activist, legal, and community spaces to examine the place of rights within both the context of American society (as situated within a boarder global political community). To that end, we welcome participation from historians, both senior and junior scholars, graduate students, community advocates, archivists, and lawyers. We invite proposals for individual papers, panels, or roundtables. The deadline for submission of proposals, consisting of an abstract of 300 words for individual presentations or 1000 words for panel and workshop proposals and a one-page CV for each participant, is March 15, 2010. 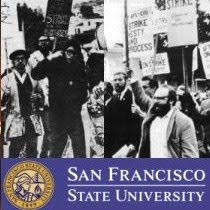 Send your proposals to Christopher Waldrep, Department of History, San Francisco State University, San Francisco, California 94132 or via email to cwaldrep@sfsu.edu. The most watched case of the 1952 Supreme Court Term was not Brown v. Board of Education, but the case of convicted atomic spies Julius and Ethel Rosenberg. Brown and Rosenberg demonstrate the Court's different approaches toward taking "great cases." The Brown Court is often criticized for having done too much; the Rosenberg Court is criticized for not having done enough. Rosenberg divided the country and divided the Court, which repeatedly refused to take the case. Instead, Justice Douglas granted a last-minute stay of execution about whether they had been tried under the wrong federal statute. The Court quickly vacated the stay, and the Rosenbergs were executed the next day. Rosenberg was a Bush v. Gore moment that alienated people who held the Court in high institutional regard. Based on newly discovered documents and interviews with key participants, this Article explains why the Court refused to grant certiorari in the one of the most famous spy cases in!American history. It reorients legal scholarship about the case away from Douglas's stay and toward contemporaneous allegations of prosecutorial misconduct and perjury. And it argues that just because some great cases might make bad law does not mean the Court should refuse to take them. It explains the taking great cases theory, applies it to Rosenberg and Bush v. Gore, and contends that, especially in cases about separation of powers and minority rights, the Court should err on the side of granting certiorari in cases of great public interest. While legal scholars have thoroughly examined the evolution of the statutory concept of the “business of banking” in the context of banks’ attempts to conduct securities, insurance, or real estate activities, to date, the far-reaching regulatory implications of the OCC’s interpretive efforts in the derivatives area have gone largely unnoticed. This Article develops a typology of methods the OCC used to interpret the statutory language as permitting banks to engage in an increasingly complex set of derivatives transactions. It argues that, in the course of issuing these interpretations, the OCC gradually formulated an excessively broad definition of the key statutory concept of the “business of banking” as encompassing all types of financial intermediation and dealing in all forms of financial risk. Through the seemingly routine and often non-transparent administrative actions, the agency effectively enabled large U.S. commercial banks to transform themselves from the traditionally conservative deposit-taking and lending institutions into a new breed of financial “super-intermediaries,” or wholesale dealers in pure financial risk. By indirectly removing most of the restrictions on activities of commercial banks, the OCC’s interpretive efforts had an ironic effect of prolonging the life of an obsolete statute and potentially impeding legislative reforms necessary to bring the regulatory framework in line with the changing business and risk profile of modern financial institutions. Understanding this process and its outcomes provides a more nuanced context for the ongoing debate on the future of financial sector regulation. From the passage of the Interstate Commerce Act of 1887 through the New Deal, American legislators commonly endowed administrative agencies with broad discretionary power. They did so over the objections of an intellectual founder of the American administrative state. The American-born, German-educated lawyer and political scientist Ernst Freund (left) developed an Americanized version of the Rechtsstaat—a government bound by fixed and definite rules—in an impressive body of scholarship between 1894 and 1915. 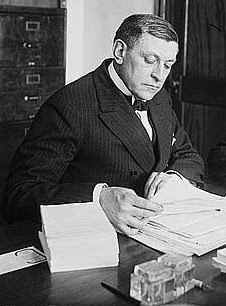 In 1920 he eagerly took up an offer from the Commonwealth Fund to finance a comprehensive study of administration in the United States. Here was his chance to show that a Continental version of the Rule of Law had come to America. Unfortunately for Freund, the Commonwealth Fund yoked him to the Austrian-born, American-educated Felix Frankfurter (right), a celebrant of the enlightened discretion of administrators. Freund's major publication for the Commonwealth Fund, Administrative Powers over Persons and Property (1928), made little impression on scholars of administrative law, who took their lead from Frankfurter. Today the Rechtsstaat is largely the beau ideal of libertarian critics of the New Deal; few recognize that it is also part of the diverse legacy of Progressive reform. You'll note, if you make it all the way through, that I close with Willard Hurst's appreciation of Ernst Freund in The Growth of American Law (1950). After the article went to press, I stumbled upon another, quite interesting assessment of Freund by Hurst here. A perfect storm of political unrest, generational conflict and a biased judge set the stage for a 1969 trial that is still memorable 40 years later for its drama and iconic import, participants in an American Bar Association panel told a standing-room-only audience Tuesday. Although the months-long Chicago Seven conspiracy trial ignited international debate—one searing image was of a bound and gagged Bobby Seale, originally the eighth defendant in U.S. v. Dellinger, et al..—panelists offered a behind-the-scenes glimpse of little-known aspects of the high-profile trial. Brought against activists who participated in anti-Vietnam War protests at the Democratic National Convention in 1968, the federal case offered an opportunity for defendants including Tom Hayden, Abbie Hoffman and Jerry Rubin to create a media circus and they took full advantage of it. More here, including the news that a full broadcast of the ABA panel on the trial may be downloaded next week from this ABA web page. Attentive readers will notice a few tweaks to the LHB sidebar, adding some history blogs, deleting dormant ones, and more. Under Law and History Links, you can find the Law and Politics Book Review, which often reviews legal history. The Institute for Constitutional History announces the Robert H. Smith Seminar for Spring 2010, "The Constitution and the Economy," to be led by James Surowiecki and John Fabian Witt. Surowiecki is a staff writer at the New Yorker, where he writes the popular bi-weekly business column “The Financial Page.” He is the author of the The Wisdom of Crowds. Witt is a Professor of Law at Yale Law School and the author of Patriots and Cosmopolitans: Hidden Histories of American Law (Harvard Press, 2007) and The Accidental Republic: Crippled Workingmen, Destitute Widows, and the Remaking of American Law (Harvard Press, 2004). The United States Constitution is the foundation of the American economy. It sustains the property rights on which American markets rest. It shapes government regulation of those markets, too. But can a two hundred and twenty year old document support a twenty-first century economy? This seminar takes up the relationship between the Constitution and economic life in American history. It investigates the economic controversies that have surrounded the Constitution from its start, from the economic crises of the 1780s, to nineteenth-century battles over slavery, banking, the railroads, and national infrastructure; from the income tax, the Federal Reserve, and the New Deal state in the twentieth century, to global trade agreements, eminent domain, and climate regulation in the twenty-first. In examining the ways in which the Constitution has shaped (and been shaped by) the transformations in the U.S. economy, we hope to glean answers to one of the most pressing questions of our time: How can that same Constitution successfully accommodate the economic challenges of our future? The seminar is designed for graduate students and junior faculty in history, political science, law, and related disciplines. All participants will be expected to complete the assigned readings and participate in seminar discussions. Although the Institute cannot offer academic credit directly for the seminar, students may be able to earn graduate credit through their home departments by completing an independent research project in conjunction with the seminar. Please consult with your advisor and/or director of graduate studies about these possibilities. Space is limited, so applicants should send a copy of their c.v. and a short statement on how this seminar will be useful to them in their research, teaching, or professional development. Materials will be accepted only by email at MMarcus@nyhistory.org until December 1, 2009. Successful applicants will be notified soon thereafter. For further information, please contact Maeva Marcus at (202) 994-6562 or e-mail icsgw@law.gwu.edu. There is no tuition or other charge for this seminar, though participants will be expected to acquire the assigned books on their own. Modest assistance with travel expenses from outside the New York metropolitan area will be available. The seminar meets Tuesday afternoons, 2:00–4:00 p.m., January 19, 26, February 2, 16, 23, and March 2, 2010, at the New-York Historical Society, 170 Central Park West, New York City. The Governing America in a Global Era (GAGE) program at the University of Virginia's Miller Center of Public Affairs announces the latest event in its GAGE Colloquia Series on Politics and History, Earth Day 1970: Gaylord Nelson and the Making of the First Environmental Generation, by Adam Rome on Friday, October 23. Rome is an Associate Professor of History at Pennsylvania State University and the author of The Bulldozer in the Countryside: Suburban Sprawl and the Rise of American Environmentalism (Cambridge, 2001), which won the Organization of American Historians' Frederick Jackson Turner Award. According to the Miller Center, "Rome is currently finishing a book about the first Earth Day and has written about environmental reform in the Gilded Age and Progressive Era." The colloquium will be start at 12:30 in the John and Rosemary Galbraith Forum Room at the Miller Center for Public Affairs, 2201 Old Ivy Road, Charlottesville, VA 22904. If you plan to attend, RSVP by the end of business today to gage@virginia.edu or 434.243.8726. The paper is not posted on the web, but the event will be webcasted live and archived here. While Chinese law occupies a sui generis position according to the classification formulated by learned legal comparativists, namely, East Asian law, it is generally acknowledged that Chinese law comfortably wears the dress of civil-law. The Chinese civil law tradition finds its historical roots in the late Qing Dynasty (1902-1911). Long before Alan Watson’s magisterial book on the legal transplant, China experimented with importing foreign law. More to the point, the newly enacted Chinese Property Code, in effect for more than a year still has this feature. With closer scrutiny, the Chinese property code of 2007 is found to be based largely on civil law models, particularly the German and Swiss ones. This constitutes a solid step towards the finalization of a Chinese civil code. The formalization and entrenchment of individual property rights can scarcely be overestimated for not only it is of great interest to Chinese jurists but also it has attracted the attention of international lawyers with a comparative perspective. The new property code is an evolution rather than a revolution, since in bringing it up to date it is meeting new social and economic needs. That said, it is little more than an organic development of the existing law. Consequently, one would expect to find in the new legislation many traces of its past history. It is worth noting that any legal development is not a complete break with its past. Chinese law is no exception. A historical perspective exploring the origin of the traditions of civil law is both necessary and useful for it can shed light on the direction of the future development of Chinese private law. Paul Finkelman, of the Albany School of Law, with Henry Lewis Gates, Jr., have done research that has resulted in the posthumous pardon of two black men electrocuted for murder in South Carolina in 1913. The execution took place despite substantial white support for the two men, the kind of support which might have saved their lives (and often did save the lives of capital criminals in the Carolinas), were it not for scandalous details in the life of the victim, a Civil War veteran, local authorities wished to conceal. The route to exoneration began with Gates’s revelation to talk radio host Tom Joyner that the executed men were Joyner’s great uncles. The full story is at CNN.com. 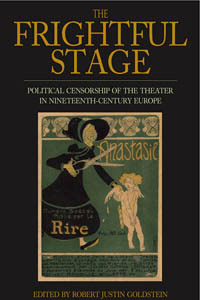 "That theatrical censors were particularly active in continental Europe during the nineteenth century is well known. The virtue of Robert Goldstein's collection is to focus attention on ways in which the situation changed from country to country, from one political situation to another, from one social class to another. Since each chapter is assigned to a different expert, we are assured of having the best possible coverage of these differences from scholars who know intimately the history in each country. Their bibliographical essays, furthermore, provide invaluable points of departure for further research. Anyone who loves nineteenth-century theater or opera in any European context will find this book an invaluable resource." · Philip Gossett, Professor Music and Romance Languages and Literature, The University of Chicago, author of Divas and Scholars: Performing Italian Opera (2006). "Theater censorship in the 19th-century is a key issue for understanding relationships between urban society, government and new cultural trends. This book offers a large view of the different situations in Europe, showing both the specificities of each country and the converging trends, thus revealing the secret unity of theater as a forum in Europe at large. A very useful and finely composed book." · Christophe Charle, Professor and Director of the Institute of Modern and Contemporary History at the Sorbonne in Paris. He is the author of almost 20 books, including, most recently, Theatres en capitales: Naissance de la société du spectacle à Paris, Berlin, Londres et Vienne (2008). This article tells the story of the rise and fall of explicit race-based pricing practices as American life insurance companies responded to changes in the social, economic, and legal status of former slaves and their descendants. The role of law in that story, from the Civil War to the beginning of this century, illustrates the complex interaction between civil rights reform and private commercial markets. Despite early laws prohibiting race-based life insurance rates, they persisted in various forms for over a century due to the strength of the underlying racial ideologies, the rhetorical power of actuarial language, and the structure and regulation of insurance markets. Life insurance companies reinforced prevailing American assumptions about race by adopting explicit race-based pricing categories after Reconstruction, and later, by prospectively abandoning them beginning after World War II. Earlier this century, regulatory investigations and litigation under post-Civil War federal civil rights statutes brought relief to those harmed by the continuing effects of dual rate structures in race-segmented markets. Civil rights law thus served primarily as prologue, by provoking company adaptation, and as epilogue, by providing retrospective relief, to the central story of that transformation. This study is the first of its kind to examine the history and organization of trans-Saharan trade in western Africa using original source material. It documents the internal dynamics of a trade network system based on a case-study of the Wad Nun traders, who specialized in outfitting camel caravans in the nineteenth century. 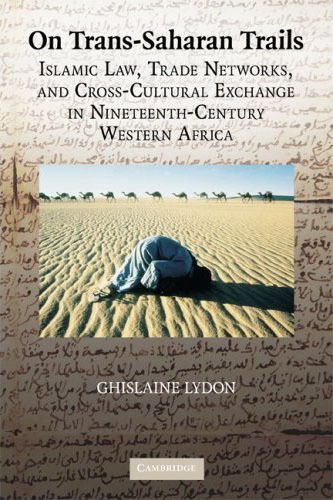 Through an examination of contracts, correspondence, fatwas, and interviews with retired caravaners, Lydon shows how traders used their literacy skills in Arabic and how they had recourse to experts of Islamic law to regulate their long-distance transactions. The book also examines the methods employed by women participating in caravan trade. By embracing a continental approach, this study bridges the divide between West African and North African studies. The work will be of interest to historians of African, Middle Eastern, and world history and to scholars of long-distance trade, Muslim societies, and Islamic law. At the impressionable age of 6, Annette Gordon-Reed strode through the doors of Anderson Elementary School in Conroe. It was 1963, and the first-grader knew exactly what she was walking into. At a school with 800 pupils, she was the only black student enrolled. Catalonia's Advocates: Lawyers, Society, and Politics in Barcelona, 1759-1900 by Stephen Jacobson has just been published in the University of North Carolina Press Studies in Legal History Series. The author thanks series editor Tom Green, University of Michigan for shepherding the manuscript to print. Offering a window into the history of the modern legal profession in Western Europe, Stephen Jacobson presents a history of lawyers in the most industrialized city on the Mediterranean. Far from being mere curators of static law, Barcelona's lawyers were at the center of social conflict and political and economic change, mediating between state, family, and society. Beginning with the resurrection of a decadent bar during the Enlightenment, Jacobson traces the historical evolution of lawyers throughout the long nineteenth century. Among the issues he explores are the attributes of the modern legal profession, how lawyers engaged with the Enlightenment, how they molded events in the Age of Revolution and helped consolidate a liberal constitutional order, why a liberal profession became conservative and corporatist, and how lawyers promoted fin-de-siècle nationalism. From the vantage point of a city with a distinguished legal tradition, Catalonia's Advocates provides fresh insight into European social and legal history; the origins of liberal professionalism; education, training, and the practice of law in the nineteenth century; the expansion of continental bureaucracies; and the corporatist aspects of modern nationalism. Law and Society in the South: A History of North Carolina Court Cases by John W. Wertheimer is reviewed in the Law and Politics Book Review. Kate Nash, The Cultural Politics of Human Rights: Comparing the US and UK )Cambridge: Cambridge University Press, 2009) is reviewed on H-Human-Rights. Vladislav M. Zubok, A Failed Empire: The Soviet Union in the Cold War from Stalin to Gorbachev (Chapel Hill: University of North Carolina Press, 2009), is reviewed on H-Diplo. Leon F. Litwack, How Free Is Free? The Long Death of Jim Crow (Cambridge: Harvard University Press, 2009), is reviewed on H-Law. Daniel C. Beaver, Hunting and the Politics of Violence before the English Civil War (Cambridge: Cambridge University Press, 2008), is reviewed on H-Law. Michael Ezra, ed., Civil Rights Movement: People and Perspectives (Santa Barbara: ABC-CLIO, 2009), is reviewed on H-Florida. Hat tip H-Law. Sharon K. Vaughan, Poverty, Justice, and Western Political Thought (Lanham: Lexington Books, 2008), is reviewed on H-Ideas. 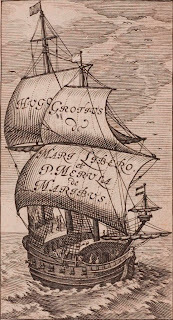 At the dawn of the 17th century, the Dutch East India Company commissioned a young prodigy named Hugo Grotius to prepare a legal argument rejecting Spanish and Portuguese claims of dominion over the oceans around their overseas empires. His essay, Mare Liberum ("On the Freedom of the Seas") touched off a "Battle of the Books." What eventually emerged was a regime of international law to govern humanity's common interest in shared resources. At the center of this battle was Grotius and England's leading legal scholar, John Selden. The exhibition documents their contributions and those from other European jurists, with books from the Rare Book Collection of the Lillian Goldman Law Library, Yale's Beinecke Rare Book & Manuscript Library, the Harvard Law School Library, and the private collection of Edward Gordon. The exhibition was curated by Edward Gordon, Yale Law School Class of 1963, and Mike Widener, Rare Book Librarian. It will run from October 2009 to January 2010 in the Rare Book Exhibition Gallery, which is located in the lower level of the Lillian Goldman Law Library (Level L2), directly in front of the Paskus-Danziger Rare Book Reading Room. 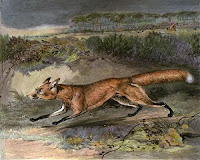 For those unable to visit the exhibit in person, it will appear in installments on the Yale Law Library Rare Books Blog. 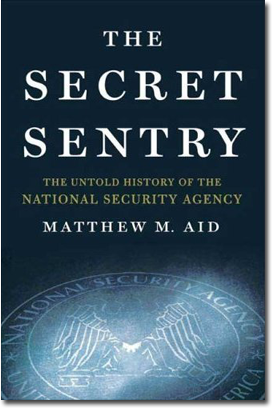 Disappointingly, the weakest section of the book, mostly summaries of old news clips, deals with what may be the most important subject: the NSA's warrantless eavesdropping and its targeting of American communications. Links to Aid's documents are posted at the National Security Archive. Also in the NYRB, Timothy Garton Ash takes up several books about 1989, including 1989: The Struggle to Create Post–Cold War Europe by Mary Elise Sarotte, and Uncivil Society: 1989 and the Implosion of the Communist Establishment by Stephen Kotkin, with a contribution by Jan T. Gross. WHEN EVERYTHING CHANGED: The Amazing Journey of American Women From 1960 to the Present by Gail Collins is reviewed in the New York times by Amy Bloom, who find it a "smart, thorough, often droll and extremely readable account of women’s recent history in America." Also in the NYT are reviews of WORSE THAN WAR: Genocide, Eliminationism, and the Ongoing Assault on Humanity by Daniel Jonah Goldhagen, and STRIPPING BARE THE BODY: Politics Violence War, which collects essays from the last two decades by Mark Danner. And THELONIOUS MONK: The Life and Times of an American Original by my USC colleague Robin D. G. Kelley is reviewed in the New York Times.